Welcome all adventure seekers and adrenaline junkies! Are you looking for that ultimate thrill? Do you want to pit yourself against nature itself and come out victorious? Then you might want to give parajumping a try. 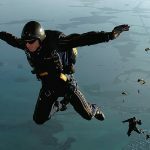 Yes, it is similar to skydiving and no, it is not for the faint of heart but if you love a challenge then give it a try. 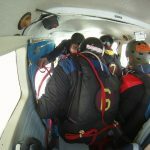 Parajumping, is our passion and we created this site to share that passion with you. We can give you all the information you need to get started but you are going to have to accept the challenge. We can show you the right gear and where to go to learn, so feel free to browse through our articles and if you have any questions don’t hesitate to get in touch.